Create a day to remember with our Hen and Stag adventure programmes. Get in touch to design your own adventure days. Choose from a variety of Land Activities, Watersports and Overnight options. We can cater all activities to suit your level and needs. Choose from Half Day, Full Day and Overnight Programmes. 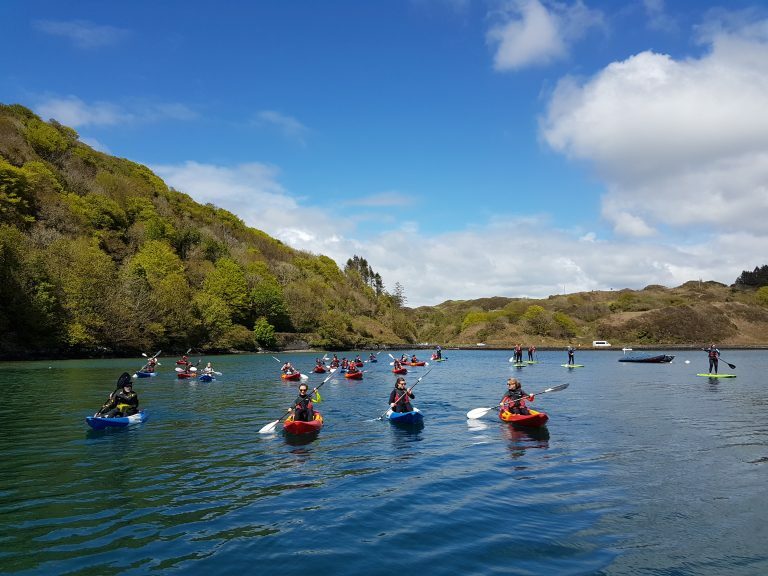 Explore the beautiful harbours of Cork on our Sea Kayak Tours, take a paddle and drop a line in our Kayak Fishing Trips, keep your balance on our Stand Up Paddle Boards; our water-sport activities can be catered for all levels and abilities. Work as a team to conquer our team puzzles, communicate effectively to navigate our orienteering courses, take aim to let off some steam in our Archery Tag® tournaments; our land activities provide easy, accessible means to get the blood flowing and the heads ticking. Pack up and move out. Our overnight options provide loads of opportunity for team building moments and puzzle solving. Cover some ground on our River and Sea Kayaking trips and make camp for the night. This is the ultimate in outdoor adventure.